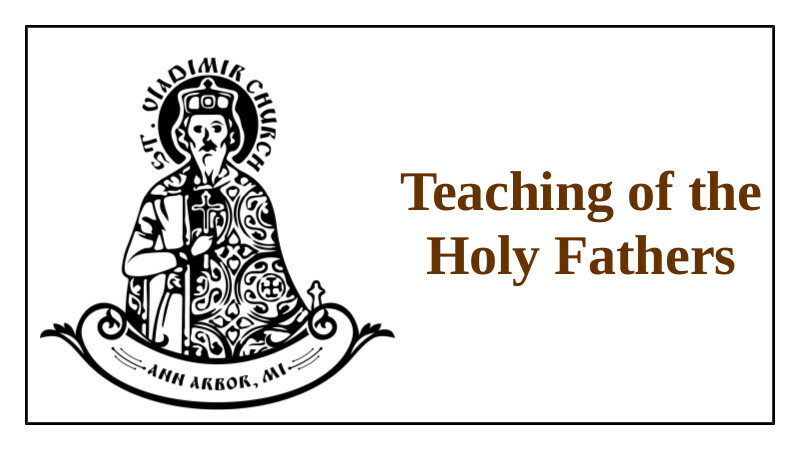 Dear St. Vladimir’s Parishioners! 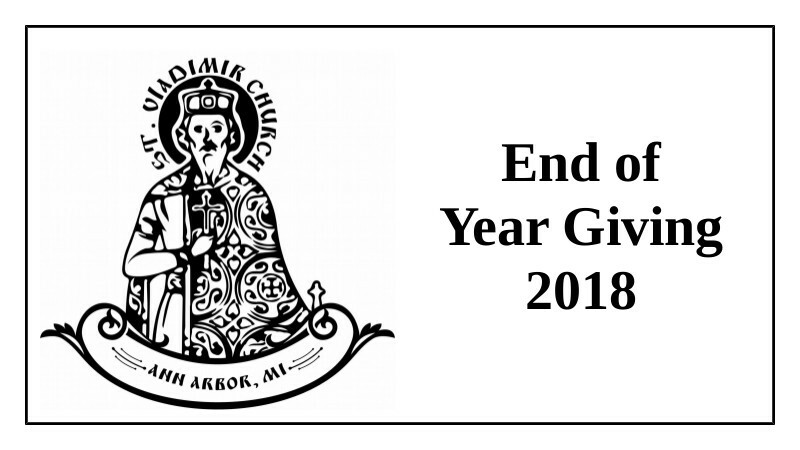 We would like to urge you to consider whether making a donation to the parish before December 31, 2018 would be helpful for you as you consider your tax liability for the year 2018. 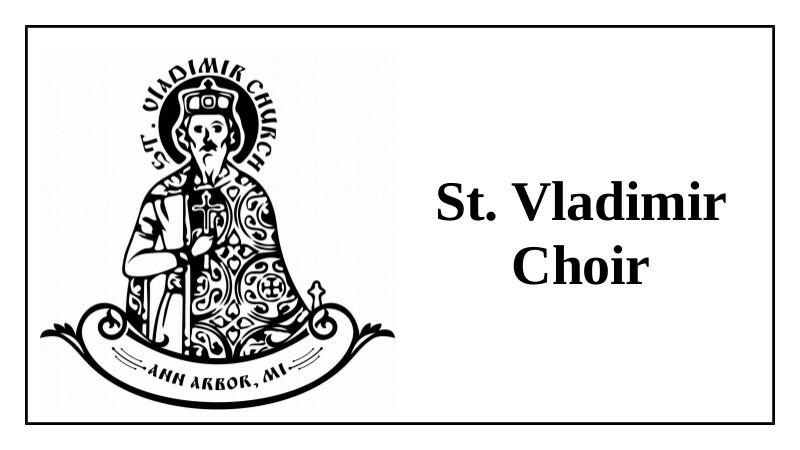 Donations to St. Vladimir Church are deductible to the greatest extent allowable by law. Please do not hesitate to contact me if you have any questions in this regard. It is also very important that your address be up to date in our parish database. If you have moved this year please contact our parish Secretary, Alexandre Alexandrov, with your new address. -Mikhail Fisenkov, Treasurer (treasurer@stvladimiraami.org). Bake Sale is this Saturday! How You Can Participate! 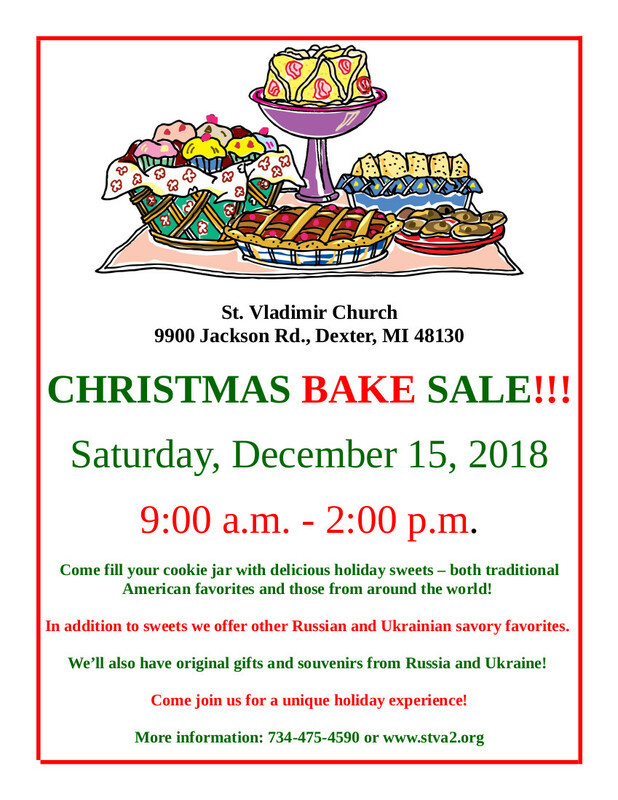 Help Baking – email Zhanna Skalitzky at zbukina@yahoo.com. If we all pitch in we’ll have a GREAT bake sale. 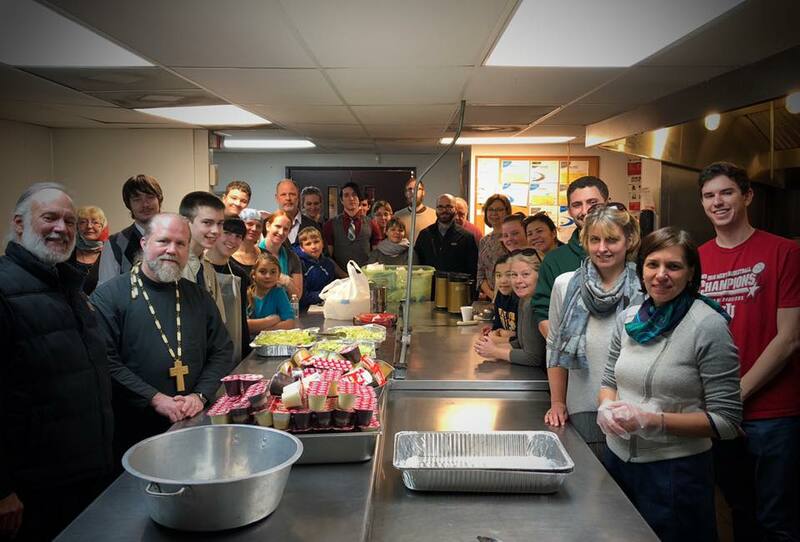 Let’s get this done well – together as a parish family! 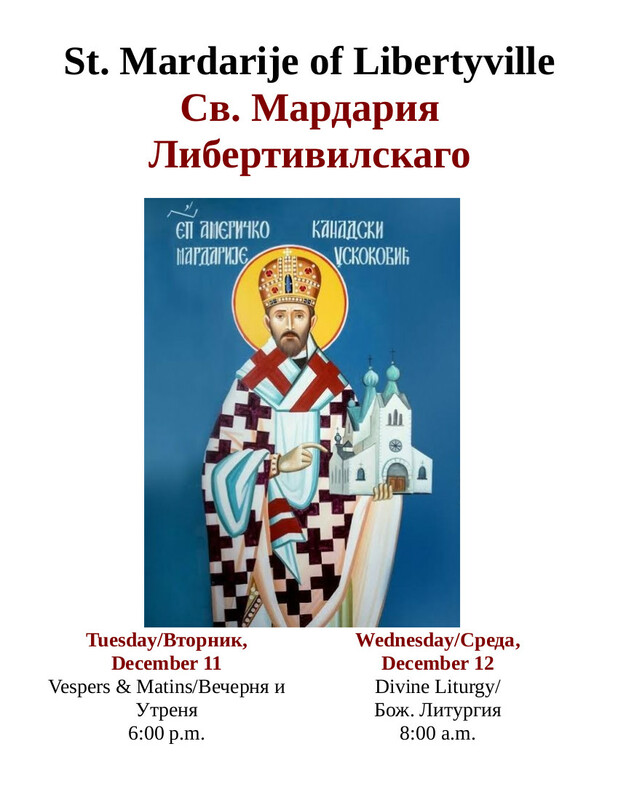 JOIN US FOR THE COMMEMORATION OF THE ONLY SAINT WHO REPOSED IN ANN ARBOR! We are pleased to announce that Ken (Peter) Doll will head our Vigil Choir and we thank him for his willingness to serve our parish family in this capacity. 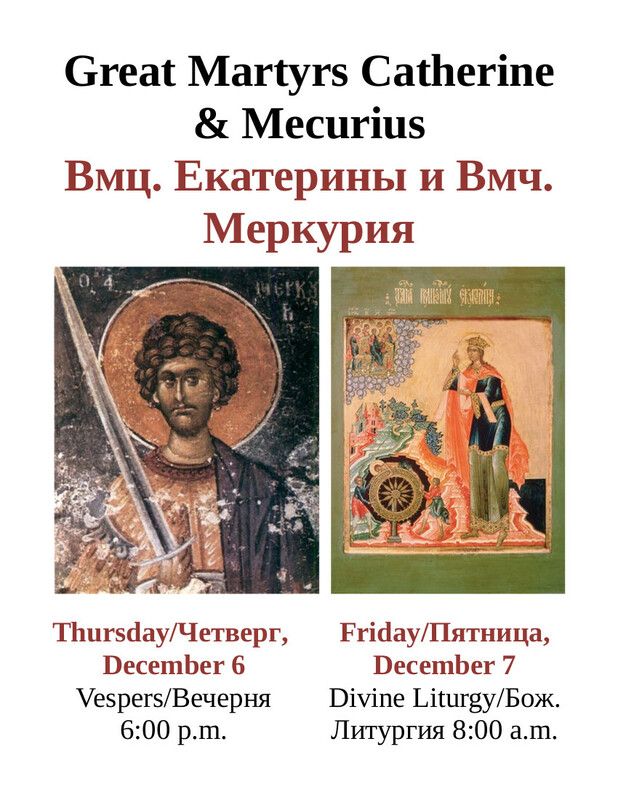 Please remember Ken in your prayers, and support the important Divine Services that he will lead at St. Vladimir’s. 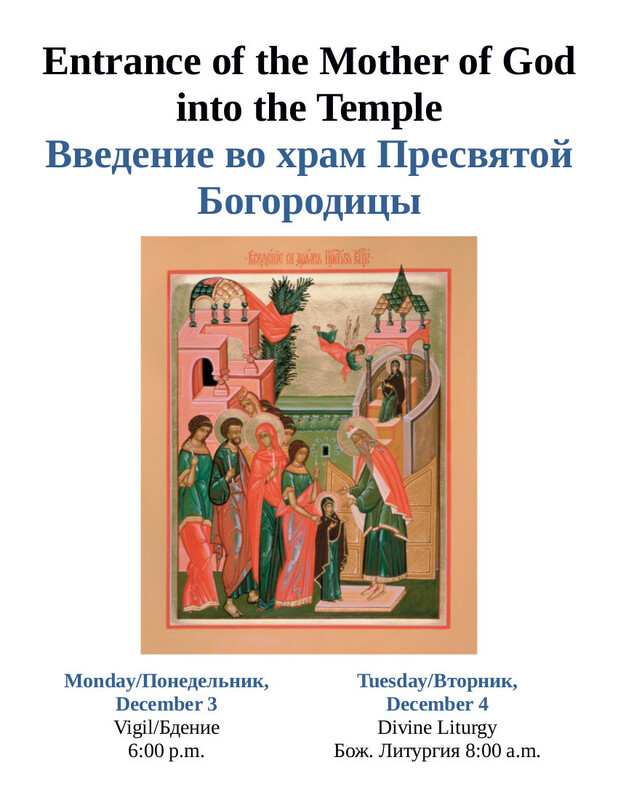 Please contact Ken if you would like to help with the Divine Services he will lead at St. Vladimir’s! More information about rehearsals and other activities will be coming soon! Give us your feedback! 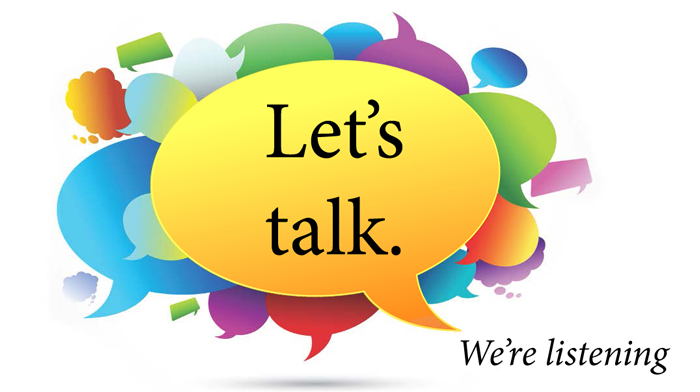 We want know what you think and how we can do things better - use the form below to share with us (or email to info@stvladimiraami.org or post on our Facebook page anytime)! JOIN US AS YOUR PERSONAL SCHEDULE ALLOWS!